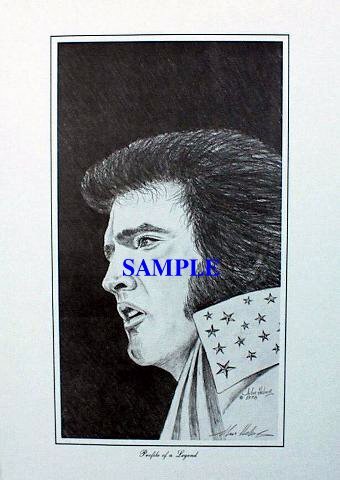 This was the first print of Elvis done by any artist. I can prove this by the copyright date of 1978. In my "leaner" years, Elvis' first cousin, Bill Mann, Sr. loaned me the money to have it printed at "Jiffy Print", now out of business. The owner told me he lost the printing plate, but many years later at an arts and craft show I was in, I was told that he gave or sold it to a friend of his. Bill Mann was my hair stylist and friend for many years, and a few years ago was tragically and mysteriously killed in a truck accident. He had many friends and is still missed. His two sons, Billy and Davy took over the business. 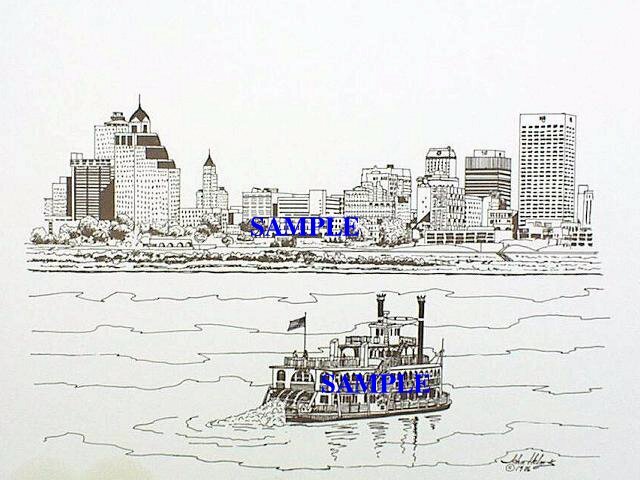 I soled this print at the souvenir shops across from Graceland Mansion in the early years, shortly after Elvis' death, until Graceland got organized and became a big deal, then put everybody else out of business. I also knew Elvis' mom and dad, Gladys and Vernon Presley. 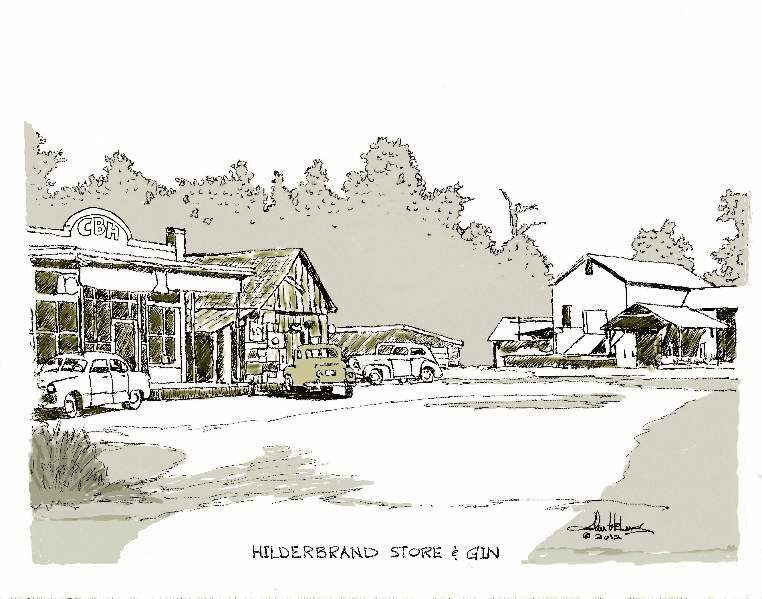 My father owned the first hardware store in Whitehaven, down the road from Graceland Mansion. My brother and I worked there, and I had many interesting conversations with the Presley's about Elvis when they came in the store to buy something. I really liked Mrs. Presley-she was a sweet, Christian lady, but I didn't care much for Vernon's personality. I also remember of an incident when I got to meet and talk to Pricilla Presley when I worked at Goldsmith's Department Store in Southland Mall. I think I fell in love with her at first sight. 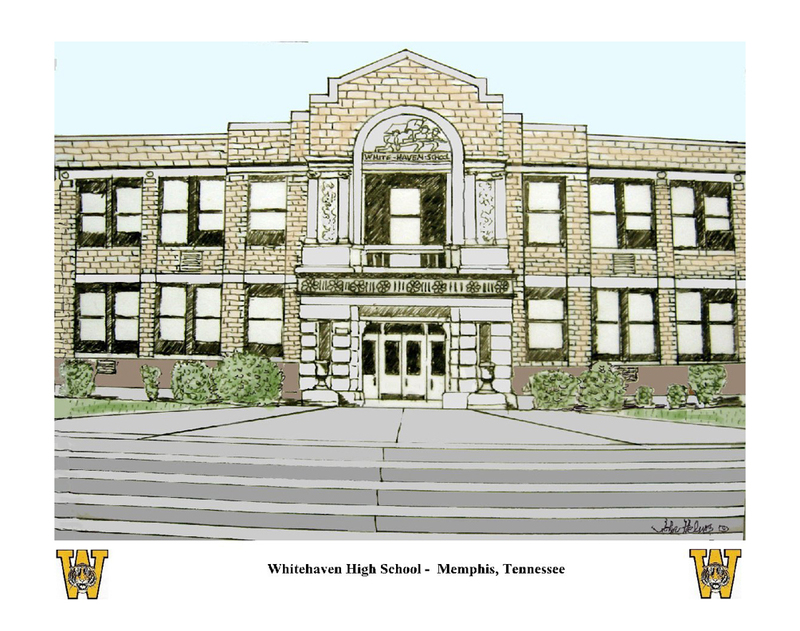 To Order your print of "Profile of a Legend"
This is a drawing I did when I was a student at The Memphis Academy of Arts. 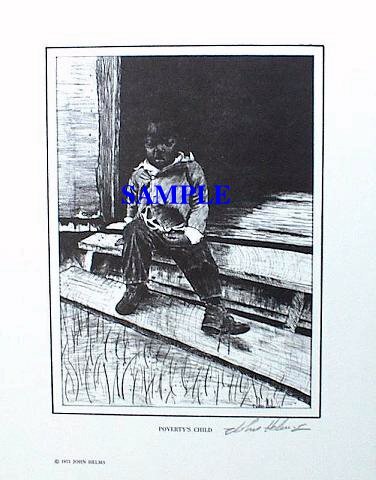 It is from a photo taken of a homeless person at the Union Mission in downtown Memphis, TN. Jimmy Stroud started the mission many years ago - since then it has helped countless homeless and drug & alcohol dependent people- mentally, physically, and spiritually. It's one of the few charities I feel "safe" in giving my money to. I spent many hours on this drawing. 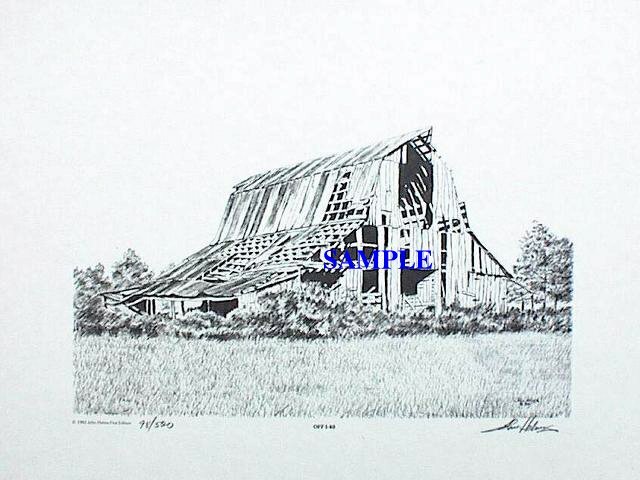 This is a print of the first pencil drawing I did of Off I-40. Since this drawing, I have done 2 other versions of it. 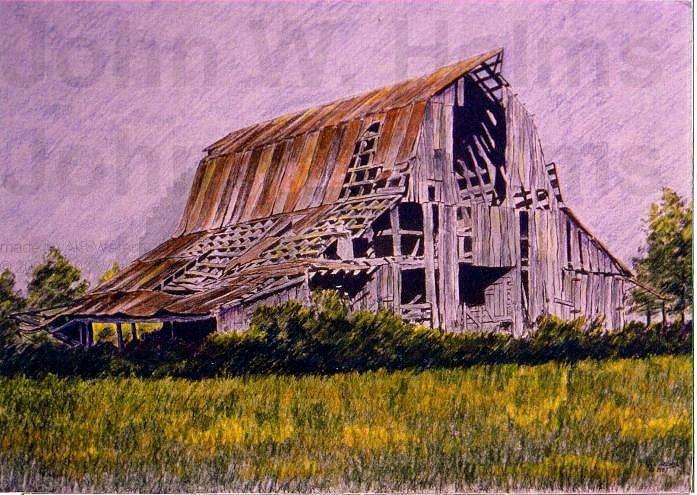 This a hand-colored pencil version of the drawing above. It is a Special Edition. 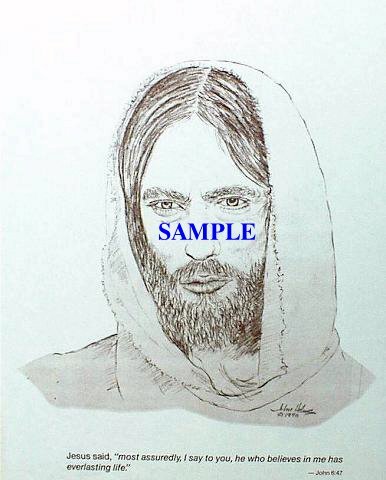 This drawing was done from a photo in the book "Jesus of Nazareth" form the TV mini-series by the same name. 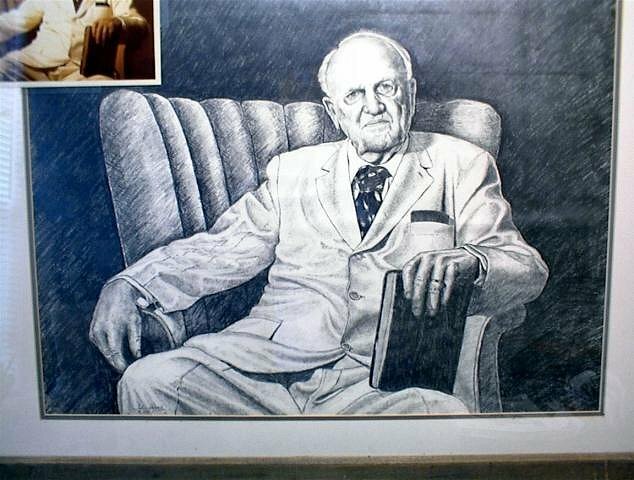 I did this drawing while a student at Art school. It is self-exclamatory, sad and depressing, but I've still sold a lot of these prints. 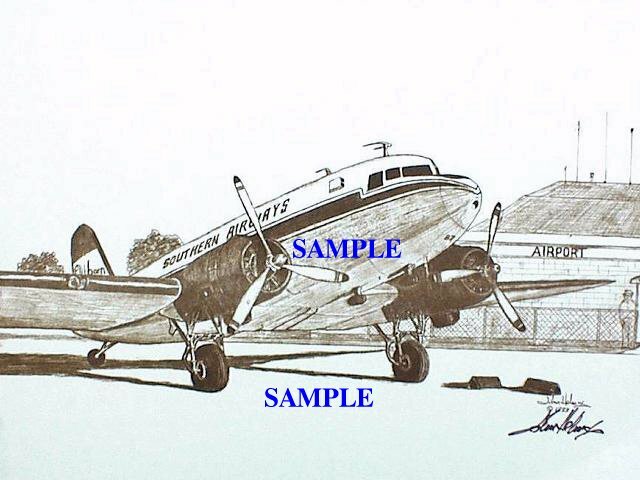 When I worked at Republic Airlines, I got many requests from pilots to do a drawing of the old Southern DC-3. 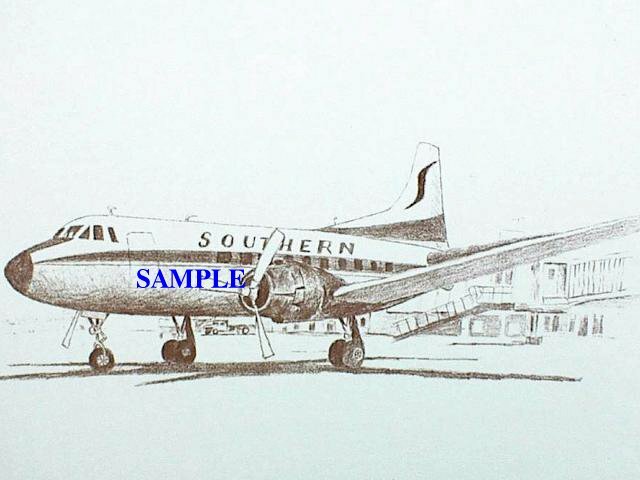 I also got requests to do this Southern Airways Martin 404. Print Size With White Boarder: 11x14"
John Is now accepting commissioned paintings !